Today we’re going to talk about some new healthcare technology created by a company called Tyto Care. Why should you care, you ask? Because it has the potential to change the way you receive medical care. But first, let me tell you about a recent experience I had with my family. So, last Saturday night, I’m out eating some delicious schnitzel with my family. It’s supposed to be the best schnitzel in town; and, to tell you the truth, it was pretty darn terrific. But, about halfway through dinner, my seven-year-old daughter started feeling extremely ill. She had severe stomach pain, was sweating, and had a massive headache. Because of how quickly it set in after we started eating, I was sure it had nothing to do with the food. We brought her home and put her to bed, and after a couple of hours of freaking myself and her mother out, she woke up and seemed back to normal health. Taking our daughter to the doctor was at the forefront of our minds, but we also knew we’d be sitting in the hospital waiting room for hours if went that route. Of course, if we were sure it was an emergency and not one of many relatively harmless childhood ailments, we would have headed straight to the hospital from the restaurant. The problem is that we just didn’t know…and had no easy way to diagnose her ourselves right there and then. I know you’ve been there, too. If only there was a happy medium between the freak-out and the frustration of the healthcare system…right? Well, there might be very soon. 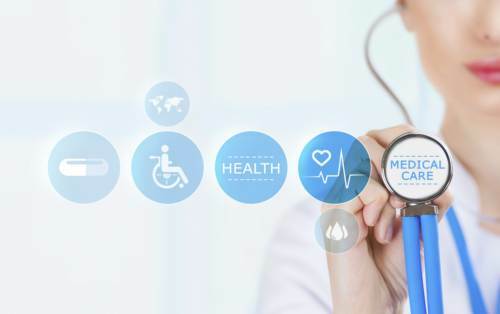 Tyto Care, a healthcare technology company, recently announced that it has raised an additional $11.0 million in funding for a mobile platform and device that allows people to perform guided medical checks at home and communicate with their doctor of choice remotely. “Tyto” allows you to do a guided self-exam and then discuss your results with your doctor virtually or send your results to your medical practitioner for follow-up later. It also enables you to schedule an online visit with your doctor, using video conference to do a live, remote exam. Basically, Tyto users will be able to send data directly to doctors from the comfort of home and receive real-time advice on how they should proceed, including potential diagnosis and prescription. The device, which can synch up with your smartphone, will be equipped with the technology to carry out medical checks on a variety of areas including the ears, throat, lungs, skin, and heart and assess overall body temperature. In essence, it offers the opportunity for a doctor’s house call without any face-to-face contact. This can definitely work to calm nerves and save unneeded trips to bacteria-ridden hospital waiting rooms where your chances of contracting a contagious illness can skyrocket. It can also help you sleep better at night being able to get an answer on what to do about your child’s 2 a.m. vomiting or your spouse’s sudden late-night bout of heart palpitations. Of course, for more medical emergencies, 911 typically ends up the best option. This device isn’t meant as a substitute for that. However, for parents with children, seniors, and chronically ill adults, a device like this can save some time and give clearer guidance on what to do in certain situations. If you’re frequently sick, have a young child, or have mobility problems, you’ll appreciate some initial check-up assistance, especially if it saves you a trip to the ER. The final device is still waiting on FDA approval and, if it’s granted, it should run about $220.00 per unit. Will the Device Really Work? In theory, this device seems like a real blessing. But, it will be interesting to see how it works in reality. Will there be enough doctors available to adequately deal with the influx of device calls? Will it be covered by insurance? Will parents trust it? Will it be reliable? All of these questions may be answered the hard way, but perhaps this device will revolutionize health care. And hey, if anything eases the experience of last Saturday with my anxiety around my sick little girl, then sign me up! Haimovich, H., “Israeli Tyto Care raises $11 million with an astounding solution for parents,” Geektime web site, July 14, 2015; http://www.geektime.com/2015/07/14/israeli-tyto-care-raises-11-million-with-an-astounding-solution-for-parents/, last accessed August 22, 2016. “Home Solution,” Tyto Care web site, http://www.tytocare.com/home-solution/, last accessed August 22, 2016.